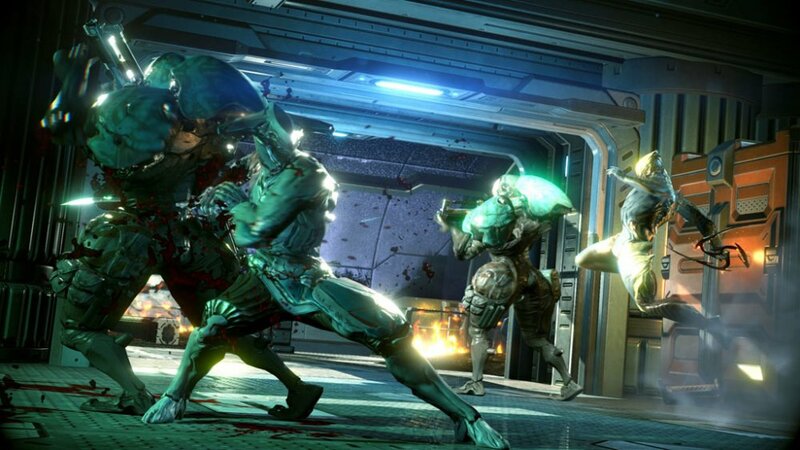 If you’re unfamiliar with Warframe, we have two words that should sell you on the game: space ninjas. This co-op, third person action, free-to-play game coming to PlayStation 4 at launch pits you and three friends again raids of enemies throughout multiple locations in the solar system. You take the role of a master warrior called the Tenno. Skilled warriors with blade and gun, the Tenno are needed to battle the Grineer, whose vast armies are diverging across the solar system like a virus. It’s a typical power struggle story, but it adds a nice background for the purpose of your fighting. 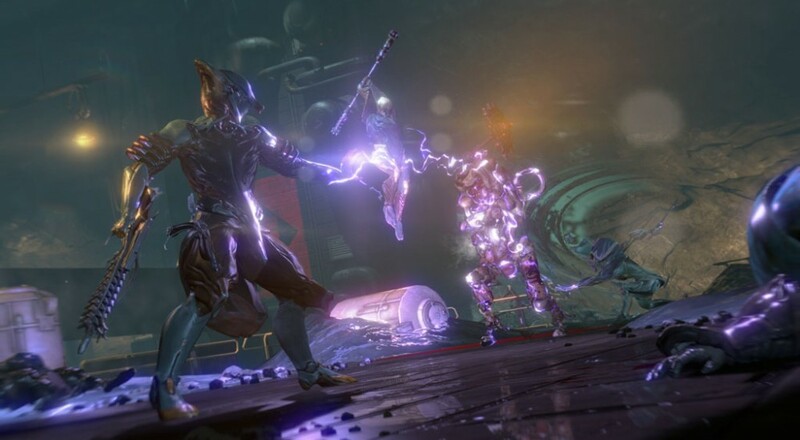 Already available on Steam, the team at Digital Extremes saw value and possibility in the PS4. “This next generation of consoles, specifically PS4, allows independent developers like us to self-publish, without the traditional overhead costs,” said Pat Kudrika, Associate Producer at Digital Extremes. With a new platform comes a new control scheme, and Kudrika states that the DualShock 4 fits perfectly with the fast paced style of Warframe. The developers took advantage of many of the new functionalities on the controller, such as delivering mission briefings through its speaker and using the light bar to show when you take shield damage. Warframe characters come with unique powers, and each one is mapped to the touch pad. By swiping in a certain direction (up, down, left, right – no need to get specific with a diagonal up here) the power is activated. 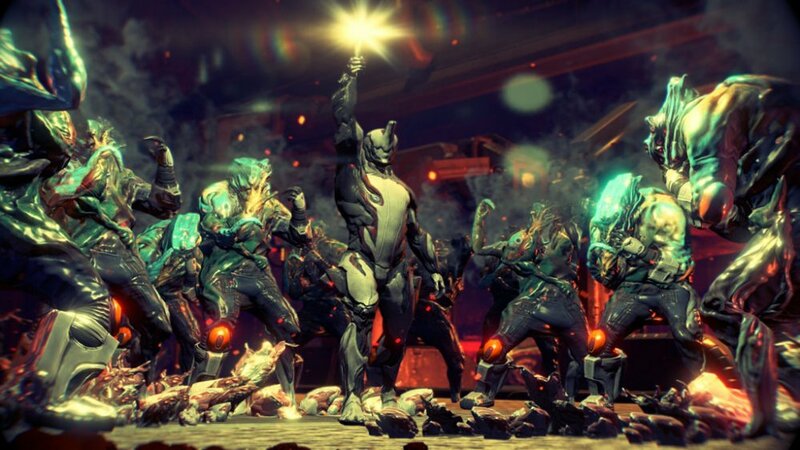 Co-operative play in Warframe is what really fascinates us. Instead of your typical horde mode, new mission types and events are created specifically with teamwork in mind. Players have both offensive and defense powers, and when used in tandem the Warframe experience really shines. Certain players can manipulate matter around them, heal their partners, or teleport squad mates to areas they were previously unable to reach. It’s not the kind of game where you can run off to do your own thing and expect to end up on top. The approach within Warframe sets it aside from other free-to-play titles by providing a solid goal in sight. It’s possible to “max out” your character so to speak, but the game isn’t over when you do so. Even after acquiring top of the line gear and weaponry, countless modifications can be added to your equipment, altering it in ways beyond its current stats. New weapons and modifications are always being added, so players won’t grow tired of the same old grind. Are you stoked to add this free-to-play game to your PS4 library? Let us know in the comments!